Sanjay Kumar & T. Amarnath Goud, JJ. The petitioner companys grievance is with regard to the action of the Sub-Registrar, Erragadda, Hyderabad, in refusing to register its purchase of immovable property in the liquidation proceedings relating to VNR Infrastructures Limited, Banjara Hills, Hyderabad, under the Insolvency and Bankruptcy Code, 2016 (for brevity, the Code). Refusal in this regard by the registration authorities was at the behest of the Income-tax Department, which claimed a charge over the immovable property sold, pursuant to the attachment proceedings of the Tax Recovery Officer (Central), Income-tax Department, Hyderabad, the first respondent herein. In the affidavit filed in support of the writ petition, the petitioner company stated that pursuant to the order passed by the National Company Law Tribunal (NCLT), Hyderabad, a liquidator was appointed to liquidate VNR Infrastructures Limited, Hyderabad, under the provisions of the Code. The assets of the said company were pooled to form a liquidated estate and all such assets were sought to be sold by e-auction. A notice was published in newspapers on 29.12.2017 in this regard, notifying the e-auction sale date as 31.01.2018. The petitioner company participated in the said auction and was declared the highest bidder at Rs.11,55,00,000/- for the commercial/ residential building, along with land, situated at H.No.82-322/D, Road No.3, Banjara Hills, Hyderabad. The liquidator, the fifth respondent herein, issued letter dated 31.01.2018 confirming the sale in favour of the petitioner company and called upon it to deposit the sum of Rs.2,00,75,000/-, inclusive of the Earnest Money Deposit (EMD) of Rs.88,00,000/- already paid, towards 25% of the bid amount within 24 hours. The petitioner company duly complied with this direction and requested the fifth respondent to issue a sale letter. The fifth respondent thereupon issued sale letter dated 01.02.2018, received by the petitioner company on 19.02.2018, calling upon it to deposit the balance sale consideration of Rs.8,66,25,000/- within fifteen days. The petitioner company claims that at this stage, it came to know that the property purchased by it was subjected to attachment by the first respondent pursuant to the recovery proceedings initiated by the Income-tax Department against VNR Infrastructures Limited, the company in liquidation. Thereupon, the petitioner company addressed letter dated 21.02.2018 to the fifth respondent requesting it to get the attachment withdrawn. However, the fifth respondent, vide letter dated 22.02.2018, again called upon the petitioner company to pay the balance sale consideration within the stipulated time. As the petitioner company was under threat of the amount deposited by it towards 25% of the sale consideration being forfeited, it addressed letter dated 23.02.2018 requesting the fifth respondent to extend the due date for depositing the balance sale consideration until 07.03.2018. By letter dated 24.02.2018, the fifth respondent extended time subject to payment of interest at 15% per annum for the delayed period. The petitioner company alleges that it made enquiries and came to know that the Sub-Registrar, Erragadda, Hyderabad, the fourth respondent, would not entertain any request for registration in relation to the subject property until and unless the attachment order of the first respondent was lifted. Hence, the present writ petition. The petitioner company filed I.A.No.1 of 2018 in the writ petition seeking an interim order directing the first respondent to recall the attachment and directing the fourth respondent to register the sale of the property by the fifth respondent in its favour. It also filed I.A.No.2 of 2018 seeking a direction to the fifth respondent not to insist upon the petitioner company paying the balance sale consideration till the sale deed was registered in its favour. We are not in inclined to grant any interim order to the effect that the petitioner company should not deposit the balance sale consideration in respect of the auction as it is bound to comply with its part of the sale transaction. However, in the event such deposit is made, the fifth respondent shall not disburse any of the amounts paid by the petitioner company pending further orders. Thereafter, by order dated 30.04.2018, this Court took note of the fact that the petitioner company had deposited the balance payable by it towards the sale consideration and directed the fourth respondent to register the sale deed. However, in view of the fact that the question raised in the writ petition was yet to be decided, this Court directed the fourth respondent to record that the registration of the sale deed would be subject to final orders in this writ petition. This Court also made it clear that the attachment would continue till the disposal of the writ petition, irrespective of the registration of the sale deed. The authorized representative of the fifth respondent filed a counter. Therein, he stated that the fifth respondent was appointed as a liquidator for VNR Infrastructures Limited, vide order dated 21.09.2017 passed by the NCLT, Hyderabad Bench, and took over the affairs of the said company. Pursuant to the valuation of the assets of the company under liquidation, including the building and land at Road No.3, Banjara Hills, Hyderabad, they were put to sale by issuing an advertisement in newspapers on 29.12.2017. In the auction sale conducted on 31.01.2018, the petitioner company became the highest bidder for the said item of property at Rs.11.55 Crore. By letter dated 31.01.2018, the petitioner company was called upon to deposit Rs.2,00,75,000/- towards 25% of the bid amount, inclusive of the sum of Rs.88,00,000/- already paid by it towards the EMD. The authorized representative conceded that the petitioner company did so within the time stipulated. According to him, it was only after publication of the sale notice in newspapers that the liquidator came to know that the Income-tax Department had issued a notice for attachment of the said item of property, under its letter dated 28.10.2016, and had directed the fourth respondent not to register any transactions in relation thereto. He stated that the fifth respondent thereupon approached the fourth respondent and submitted letter dated 12.01.2018 requesting that no weightage should be given to the Income-tax Departments letter as he was appointed as a liquidator on 21.09.2017 and had taken over the companys affairs. Reference was made to Section 33 of the Code to the effect that a liquidation order would result in a moratorium on initiation and continuation of legal proceedings by or against the corporate debtor, i.e., VNR Infrastructures Limited, with effect from the date of appointment of the liquidator. The fifth respondent also addressed letter dated 08.01.2018 to the first respondent requesting him to lift the attachment. However, the first respondent replied on 30.01.2018 that Section 33 of the Code would not be applicable in the instant case, as the tax proceedings had been initiated prior to the liquidation proceedings under the order of the NCLT. This letter was received on 31.01.2018. The fifth respondent however proceeded with the e-auction sale on the said date, as scheduled. Thereafter, letter dated 08.02.2018 was received from the Income-tax Department in which it claimed that neither Section 178(6) of the Income-tax Act, 1961 (for brevity, the Act of 1961) nor Section 53(1)(e) of the Code would come in the way of the Income-tax Department in proceeding with recovery of taxes. The authorized representative admitted that the fifth respondent issued sale letter dated 10.02.2018 to the petitioner company, whereby it was called upon to pay the balance amount of Rs.8,66,25,000/- within fifteen days. He also admitted receipt of the petitioner companys letter dated 21.02.2018 to get the attachment withdrawn and issuance of the letter dated 22.02.2018 by the fifth respondent reiterating the direction to pay the balance sale consideration within the time stipulated. He further admitted extension of the time limit for payment of the balance sale consideration till 07.03.2018 and again till 16.03.2018. He acknowledged that pursuant to the order dated 15.03.2018 passed by this Court, the petitioner company deposited the balance sale consideration on 16.03.2018, which was kept aside as directed by this Court. Perusal of the letter dated 28.10.2016 addressed by the first respondent to the fourth respondent reflects that the first respondent stated that the property detailed therein, pertaining to VNR Infrastructures Limited, had been attached by order dated 27.10.2016 and the fourth respondent was requested not to register any document transferring the said property. In his letter dated 08.01.2018, the fifth respondent pointed out to the first respondent that as per Section 33 of the Code, the order of the NCLT would result in a moratorium on the initiation or continuation of legal proceedings by or against the corporate debtor and as per Section 53 of the Code, the Governments dues would be at the fifth position in terms of priority of repayment. The fifth respondent accordingly called upon the first respondent to submit its claim and to immediately cancel the attachment order issued earlier. The first respondent filed a counter-affidavit pointing out that the attachment of the subject property belonging to VNR Infrastructures Limited, Hyderabad, for recovery of Income-tax arrears was made on 28.10.2016, long before commencement of proceedings under the Code before the NCLT. He further stated that a tax recovery certificate was received from the Deputy Commissioner of Income-tax, Central Circle-I(3), Hyderabad, on 07.09.2016 in relation to recovery of the tax arrears from VNR Infrastructures Limited to the tune of Rs.101,60,55,000/-. Upon receipt of the said certificate, the first respondent served notice in Form No.ITCP-1 under Rule 2 of the Second Schedule to the Act of 1961 on 30.09.2016, which was duly served on the assessee company on 05.10.2016. Thereunder, it was directed to pay the demanded amount within fifteen days. As the assessee company failed to do so, the order of attachment under Rule 48 of the Rules in the Second Schedule to the Act of 1961 in Form No.ITCP-16, attaching the subject property, along with other properties of the assessee company, was issued on 28.10.2016. The receipt of a copy of the same was acknowledged by the District Registrar, Hyderabad (South), on 28.10.2016. The first respondent admitted receipt of the letter dated 08.01.2018 from the fifth respondent informing him of his appointment as the liquidator for VNR Infrastructures Limited, vide order dated 21.09.2017 of the NCLT in C.A.No.142 of 2017 in C.P. (IB) No.12/10/Hdb/2017. The first respondent claimed that as the tax recovery proceedings were prior in point of time to the proceedings initiated under the Code, the moratorium under Section 33 of the Code would not have any effect. He concluded by stating that the recovery proceedings initiated by the Incometax Department were in accordance with law and that the provisions of the Code would have no application thereto. He asserted that the petitioner company had not made out any case for interference in so far as he was concerned and prayed for dismissal of the writ petition. Heard Mr.S.Niranjan Reddy, learned senior counsel, and Mr.Vadeendra Joshi, learned counsel, appearing for Ms.Rubaina S. Khatoon, learned counsel for the petitioner company, Mrs.M.Kiranmayee, learned senior standing counsel for the Revenue appearing for the first respondent, and Ms.Ch.Vedavani, learned counsel for the fifth respondent. The case essentially turns upon the construction and interpretation of the provisions of the Code in juxtaposition to the Act of 1961. The Statement of Objects and Reasons of the Code indicates that the Legislature was of the opinion that the existing framework for insolvency and bankruptcy was inadequate and ineffective and resulted in undue delays in resolution. The Code was proposed with the objective of consolidating and amending the laws relating to reorganization and insolvency resolution of corporate persons, partnership firms and individuals in a time bound manner for maximization of the value of assets of such persons, to promote entrepreneurship, availability of credit and balance the interests of all the stakeholders, including alteration in the priority of payment of Government dues and to establish an Insolvency and Bankruptcy Fund, and matters connected therewith or incidental thereto. The Code provides for designating the NCLT and the Debts Recovery Tribunal (DRT) as the Adjudicating Authorities for corporate persons, firms and individuals for resolution of insolvency, liquidation and bankruptcy. The Code was published in the Gazette of India dated 28.05.2016. Provisions of the Code were however brought into effect from different dates in terms of the proviso to Section 1(3) of the Code. (j) the term workmens dues shall have the same meaning as assigned to it in Section 326 of the Companies Act, 2013(18 of 2013). Section 54 deals with Dissolution of a corporate debtor and provides that where the assets of the corporate debtor have been completely liquidated, the liquidator shall make an application to the Adjudicating Authority for the dissolution of such corporate debtor and upon such an application, the corporate debtor shall be dissolved by the Adjudicating Authority from the date of that order. A copy of such order shall be forwarded to the authority with which the corporate debtor is registered within seven days from the date of the order. Part V of the Code deals with Miscellaneous provisions under Sections 224 to 255. Section 238 stipulates that the provisions of the Code shall have effect notwithstanding anything inconsistent therewith contained in any other law for the time being in force or any instrument having effect by virtue of any such law. Section 247 deals with Amendments to the Income-tax Act, 1961 and provides that the said Act shall be amended in the manner specified in the Third Schedule. The Third Schedule to the Code provides that in sub-section (6) of Section 178 of the Act of 1961, after the words for the time being in force, the words and figures except the provisions of the Insolvency and Bankruptcy Code, 2016 shall be inserted. It may be noted that Section 238 was brought into effect from 01.12.2016, while Section 247 was brought into effect from 01.11.2016. Sections 4 to 32, both inclusive, were brought into effect from 01.12.2016. Sections 33 to 54, both inclusive, were brought into effect on 15.12.2016. Now a look at the Act of 1961 and the Rules framed thereunder. 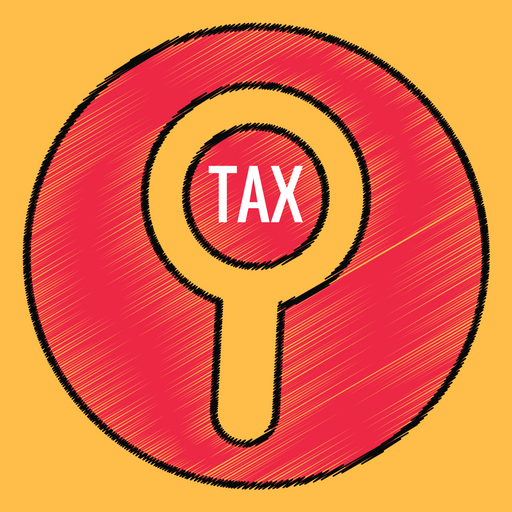 Chapter XVII of the Act of 1961 deals with Collection and recovery of tax. Sections 220 to 232 therein provide for Collection and recovery. Section 220 states that any amount, otherwise than by way of advance tax, specified as payable in a notice of demand under Section 156 shall be paid within thirty days of service of the notice at the place and to the person mentioned in the notice. Section 156, in turn, deals with a notice of demand when any tax, interest, penalty, fine or any other sum is payable in consequence of any order passed under the Act of 1961 and the Authorized Officer is empowered to serve upon the assessee a notice of demand in the prescribed form specifying the sum so payable. Section 220(4) stipulates that if the amount is not paid within the time limit under sub-section (1) or extended under sub- section (3), as the case may be, at the place and to the person mentioned in the said notice, the assessee shall be deemed to be in default. Section 221 provides for penalty being levied when an assessee is in default or is deemed to be in default in making payment of tax. Section 222 provides for issuance of a certificate to the Tax Recovery Officer. Section 222(1) states that when an assessee is in default or is deemed to be in default in making payment of tax, the Tax Recovery Officer may draw up under his signature a statement in the prescribed form specifying the amount of arrears due from the assessee and shall proceed to recover from such assessee the amount specified in the certificate by one or more of the modes mentioned in accordance with the Rules laid down in the Second Schedule. The modes mentioned in Section 222 are: a) attachment and sale of the assessees movable property; b) attachment and sale of the assessees immovable property; c) arrest of the assessee and his detention in prison; d) appointing a receiver for the management of the assesses movable and immovable properties. Section 226 provides other modes of recovery and the Assessing Officer may recover the tax by any one or more of the modes provided in that Section. The modes provided thereunder are from the salary income of the assessee by way of a garnishee order and so on and so forth. The Second Schedule to the Act of 1961 is titled Procedure for recovery of tax. Part I thereunder deals with General Provisions. Rule 2 therein provides for issue of notice and states that when a certificate has been drawn up by a Tax Recovery Officer for recovery of arrears under Schedule II, the Tax Recovery Officer shall cause to be served upon the defaulter a notice requiring the defaulter to pay the amount specified in the certificate within fifteen days from the date of service of the notice and intimating that in default, steps would be taken to realize the amount as per the procedure set out in the Second Schedule. Rule 4 provides the mode of recovery and states that if the amount mentioned in the notice is not paid within the time specified therein or within such further time as the Tax Recovery Officer may grant in his discretion, the Tax Recovery Officer shall proceed to realize the amount by one or more modes mentioned, one such being by attachment and sale of the defaulters immovable property. Rule 8 provides for disposal of the proceeds of execution and states that whenever assets are realized by sale or otherwise in execution of a certificate, the proceeds shall be disposed of in the manner stipulated (a) they shall first be adjusted towards the amount due under the certificate in execution of which the assets were realized and the costs incurred in the course of such execution; (b) if there remains a balance after the adjustment referred to in clause (a), the same shall be utilized for satisfaction of any other amount recoverable from the assessee under the Act of 1961 which may be due on the date on which the assets were realized; and (c) the balance, if any, remaining after the adjustments under clauses (a) and (b) shall be paid to the defaulter. Attachment and sale of movable property is dealt with in Part II, while attachment and sale of immovable property is dealt with under Part III. Rule 48 in Part III states that attachment of the immovable property of the defaulter shall be made by an order prohibiting the defaulter from transferring or charging the property in any way and prohibiting all persons from taking any benefit under such transfer or charge. Rule 51 states that where an immovable property is attached under the Second Schedule, the attachment shall relate back to and take effect from the date on which the notice to pay the arrears, issued under the Second Schedule, was served upon the defaulter. It is also relevant to note that Section 178 of the Act of 1961 is titled Company in liquidation. Under sub-section (1) thereof, the liquidator of a company which is being wound up, or a person who is appointed as a Receiver of the assets of such company has to give notice of his appointment as such to the Assessing Officer of the said company. Sub- section (2) provides that the Assessing Officer shall make inquiries and notify the liquidator within three months from the date on which he receives the notice of appointment of the liquidator, the amount which, in the opinion of the Assessing Officer, would be sufficient to provide for any tax which is then or is likely thereafter to become payable by the company. Sub-section (3) mandates that the liquidator shall not, without the leave of the Principal Chief Commissioner or Chief Commissioner or Principal Commissioner or Commissioner, part with any of the assets of the company or the properties in his hands till he has been notified by the Assessing Officer under subsection (2) and on being so notified, the liquidator shall set aside an amount, equal to the amount notified and, until he so sets aside such amount he shall not part with any of the assets of the company or the properties in his hands. In the event of default by the liquidator in either giving notice or failing to set aside the amount as required or parting with the assets of the company in contravention of the provisions of sub-section (3), he is made personally liable for payment of the tax which the company would be liable to pay, under sub-section (4). Sub-section (6), as it stood prior to its amendment, read to the effect that the provisions of Section 178 shall have effect notwithstanding anything to the contrary contained in any other law for the time being in force. However, after its amendment in terms of Section 247 of the Code read with the Third Schedule thereto, it now reads to the effect that the provisions of Section 178 shall have effect notwithstanding anything to the contrary contained in any other law for the time being in force, except the provisions of the Insolvency and Bankruptcy Code, 2016. It may be noted that under Section 281 of the Act of 1961, certain transfers are to be treated as void. Section 281(1) provides that during the pendency of any proceeding under the Act of 1961 or after the completion thereof, but before the service of notice under Rule 2 of the Second Schedule to the Act of 1961, if any assessee creates a charge on, or parts with possession, by way of sale, mortgage, gift, exchange or any other mode of transfer whatsoever, of any of his assets in favour of any other person, such charge or transfer shall be void as against any claim in respect of any tax or any other sum payable by the assessee as a result of the completion of the said proceeding. Section 281B of the Act of 1961 provides that provisional attachment shall protect the Revenue in certain cases. Sections 281B(1) and (2) provide that during the pendency of any proceeding for the assessment of any income, if the Assessing Officer is of the opinion that for the purpose of protecting the interests of the Revenue, it is necessary so to do, he may, with the previous approval of the designated authorities thereunder, by order in writing, attach provisionally any property belonging to the assessee in the manner provided in the Second Schedule. Such provisional attachment shall cease to have effect after the expiry of a period of six months from the date of the order of attachment. In the light of the aforestated statutory schemes obtaining under the Code and the Act of 1961 respectively, it is clear that the Income-tax Department does not enjoy the status of a secured creditor, on par with a secured creditor covered by a mortgage or other security interest, who can avail the provisions of Section 52 of the Code. At best, it can only claim a charge under the attachment order, in terms of Section 281 of the Act of 1961. Reference, in this regard, may be made to ANANTA MILLS LTD. (IN LIQUIDATION) V/s. CITY DEPUTY COLLECTOR, AHMEDABAD, wherein the Gujarat High Court observed that the purpose of attachment appeared to be to prevent private alienations of the property but the attaching-creditor does not acquire, by merely levying attachment, any interest in the property. The Court referred to PREM LAL DHAR V/s. OFFICIAL ASSIGNEE , wherein the Privy Council had reserved its opinion on the question whether attachment created a lien or charge or conferred a title, but opined that since then, the crystallized position was that attachment in this country merely prohibits private alienation by the person(s) whose property is attached but creates no interest in the property in favour of the attaching-creditor. The Court also considered the effect of attachment prior to the commencement of winding-up proceedings and whether such attachment could continue on the property even in the hands of the purchaser, who bought the property through the official liquidator free of all encumbrances. The Court considered the question whether attachment levied on properties of a company, without any further action being taken, would survive, after the Court makes a winding-up order and the liquidator proceeds to act under Sections 466(1) and 467(1) of the Act of 1956. The final conclusion of the Court was that attachment simpliciter of the properties of a company, which was subsequently ordered to be wound up, without any further action being taken would be of no consequence or effect against the official liquidator and the property could be disposed of by the official liquidator, wholly ignoring the attachment. It may be noticed that in so far as an assessee company in liquidation is concerned, Section 178 of the Act of 1961 provides for a priority in appropriation of the amounts set aside by the liquidator for clearance of the tax dues. However, it may be noted that liquidation of a company could be under the provisions of different enactments. In so far as liquidation of a company under the Code is concerned, Section 178 of the Act of 1961 stands excluded by virtue of the amendment of Section 178(6) with effect from 01.11.2016, in accordance with the provisions of Section 247 of the Code read with the Third Schedule appended thereto. Therefore, in the event an assessee company is in liquidation under the Code, the Income-tax Department can no longer claim a priority in respect of clearance of tax dues of the said company, as provided under Sections 178(2) and (3) of the Act of 1961. In the context of liquidation of an assessee company under the provisions of the Code, the Income-tax Department, not being a secured creditor, must necessarily take recourse to distribution of the liquidation assets as per Section 53 of the Code. Section 53(1) provides the order of priority for such distribution and any amount due to the Central Government and the State Government including the amount to be received on account of the Consolidated Fund of India and the Consolidated Fund of a State in respect of the whole or any part of the period of two years preceding the liquidation commencement date comes fifth in the order of priority under Clause (e) thereof. Significantly, Article 266 of the Constitution provides that all revenues received by the Government of India, all loans raised by that Government by the issue of treasury bills, loans or ways and means advances and all moneys received by that Government in repayment of loans shall form one consolidated fund to be entitled the Consolidated Fund of India, and all revenues received by the Government of a State, all loans raised by that Government by the issue of treasury bills, loans or ways and means advances and all moneys received by that Government in repayment of loans shall form one consolidated fund to be entitled the Consolidated Fund of the State. It may be noted that this Article begins with the phrase Subject to the provisions of Article 267 and to the provisions of this Chapter with respect to the assignment of the whole or part of the net proceeds of certain taxes and duties to States, all revenues received by the Government of India shall form the Consolidated Fund of India. It is therefore clear that tax dues, being an input to the Consolidated Fund of India and of the States, clearly come within the ambit of Section 53(1)(e) of the Code. If the Legislature, in its wisdom, assigned the fifth position in the order of priority to such dues, it is not for this Court to delve into or belittle the rationale underlying the same. Mrs.M.Kiranmayee, learned senior standing counsel, would however contend that the arrears of VNR Infrastructures Limited, Hyderabad, amount to over Rs.100.00 Crore as on date and recovery of such arrears must necessarily be given priority in the context of the statutory scheme obtaining under the Act of 1961. She would point out that the attachment effected by the first respondent was on 27.10.2016, long prior to initiation of the liquidation proceedings under the Code. She would further point out that though Section 178 of the Act of 1961 was amended by Section 247 of the Code, no amendment was effected in Sections 222, 226 or 232 of the Act of 1961, whereunder tax arrears could be recovered. She relied upon IMPERIAL CHIT FUNDS (P.) LTD. V/s. INCOME-TAX OFFICER,  219 ITR 498 wherein the Supreme Court considered Section 178 of the Act of 1961 in relation to the preferential payments covered by Section 530 of the Companies Act, 1956. The Supreme Court took the view that the Income-tax Department is to be treated as a secured creditor in the light of the words occurring in Sections 178(3) and (4) of the Act of 1961 to the effect that the liquidator shall set aside the amount notified by the Income-tax Officer and if it is not so done, the liquidator is personally liable to pay the amount of tax. It may however be noticed that by virtue of the amendment of Section 178(6) of the Act of 1961 by Section 247 of the Code read with the Third Schedule appended thereto, the whole of Section 178 has no application to liquidation proceedings initiated under the Code. Therefore, if the only source for treating the Income-tax Department as a secured creditor is the language used in Sections 178(3) and (4) of the Act of 1961, the said provisions stand excluded when it comes to the liquidation proceedings under the Code and such status cannot be conferred upon the Income-tax Department and it would necessarily have to take its place in the order of priority mentioned in Section 53(1) of the Code. This judgment is therefore of no avail to the Revenue. Mrs.M.Kiranmayee, learned counsel, also placed reliance on CENTRAL BANK OF INDIA V/s. STATE OF KERALA . This was a case arising in the context of whether the dues of a secured creditor under the Securitisation and Reconstruction of Financial Assets and Enforcement of Security Interest Act, 2002 (the SARFAESI Act) would take priority over the dues of the commercial taxes department of the State of Kerala. The observations made by the Supreme Court in this regard were relatable to the SARFAESI Act and the Kerala General Sales Tax Act, 1963. Such observations cannot be adopted mutatis mutandis for interpretation and understanding of the provisions of the Code in relation to the Act of 1961. We are therefore not inclined to accept the argument of the learned counsel that as commercial tax dues were given priority over the dues of a secured creditor under the SARFAESI Act, the same logic should be applied in the case on hand in the context of Income-tax dues. This judgment also does not further the case of the Revenue. As rightly pointed out by Mr.Vadeendra Joshi, learned counsel, Section 178(6) of the Act of 1961 starts with a non-obstante clause but by virtue of the amendment made thereto, vide Section 247 of the Code, exclusion of the said provision in so far as liquidation proceedings under the Code are concerned forms an exception to Section 178(6) of the Act of 1961. Learned counsel would also point out that the provisions of Sections 220 and 222 of the Act of 1961 do not start with any non-obstante clause and therefore, they would necessarily be subject to the overriding effect of the Code, by virtue of Section 238 thereof. We find merit in this submission. On the above analysis, this Court holds that the first respondent cannot claim any priority merely because of the fact that the order of attachment dated 27.10.2016 issued by him was long prior to the initiation of liquidation proceedings under the Code against VNR Infrastructures Limited, Hyderabad. It may be noted that Section 36(3)(b) of the Code indicates in no uncertain terms that the liquidation estate assets may or may not be in possession of the corporate debtor, including but not limited to encumbered assets. Therefore, even if the order of attachment constitutes an encumbrance on the property, it still does not have the effect of taking it out of the purview of Section 36(3)(b) of the Code. The said order of attachment therefore cannot be taken to be a bar for completion of the sale effected by the fifth respondent under the provisions of the Code. The first respondent necessarily has to submit the claim of the Income-tax Department to the fifth respondent for consideration as and when the distribution of the assets, in terms of Section 53(1) of the Code, is taken up. The writ petition is accordingly allowed declaring the legal position as aforestated. The fourth respondent shall entertain and register the sale transaction effected by the fifth respondent in favour of the petitioner company, if not already done. The first respondent is at liberty to submit its claim before the fifth respondent, who shall duly consider the same in accordance with the priorities stipulated under Section 53(1) of the Code. Pending miscellaneous petitions, if any, shall stand closed in the light of this final order. No order as to costs. This entry was posted in Income Tax Case Laws and tagged 407 ITR, Andhra Pradesh High Court, In favour of Assessee. Delhi H.C : The petitioners should be permitted to file Income Tax returns for AY 2017-2018 without complying with the condition of providing Aadhar Card registration number or Aadhar Card Enrolment number and a direction of the similar kind is sought thereby directing the CBDT to rely on its notification dated 30.06.2018.